Fourteen births to seven female cotton-top tamarins in a successful breeding colony were observed. All births occurred between 17:50 and 20:40. Behavioural changes indicating the onset of labour are described. Delivery was usually accomplished rapidly, with short intervals between successive infants. One suspected and one verified breech presentation occurred; these deliveries were accompanied by a marked increase in the duration of the interval between infants, and one infant apparently died during expulsion. All other presentations seen were vertex occiput posterior. Fathers, and sometimes older offspring of both sexes, frequently shared with the mother in eating the placenta. Carrying of infants by individuals other than the mother was rare in the hour after birth, and was usually confined to fathers. One primipara rejected her second-born infant, but all other parents showed competent parental behaviour from birth onwards. 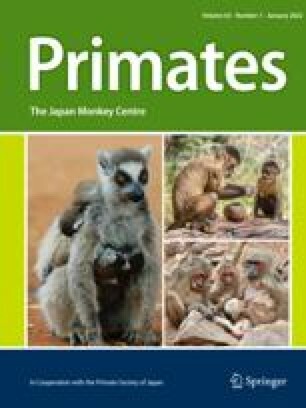 The results are compared to data from other primates, and their relevance to the successful breeding of this species is discussed.